It’s a Minion Overload update! 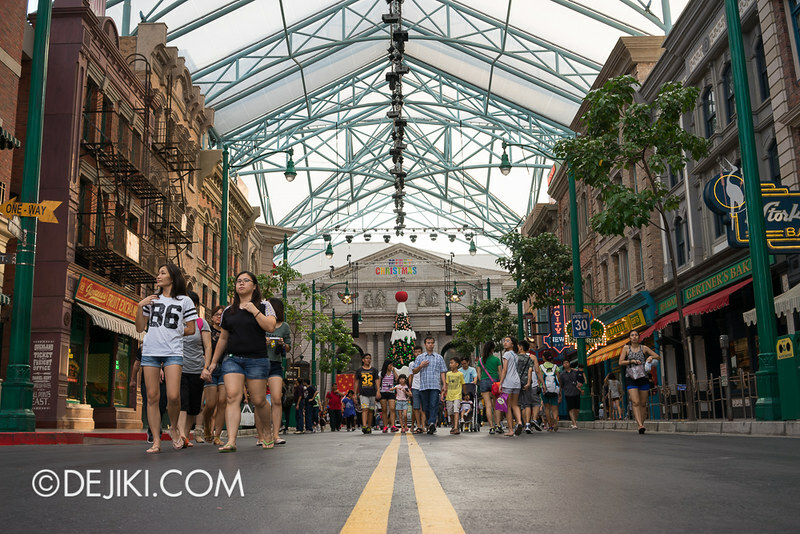 Read all about the exciting new additions and changes at Universal Studios Singapore in this park update. 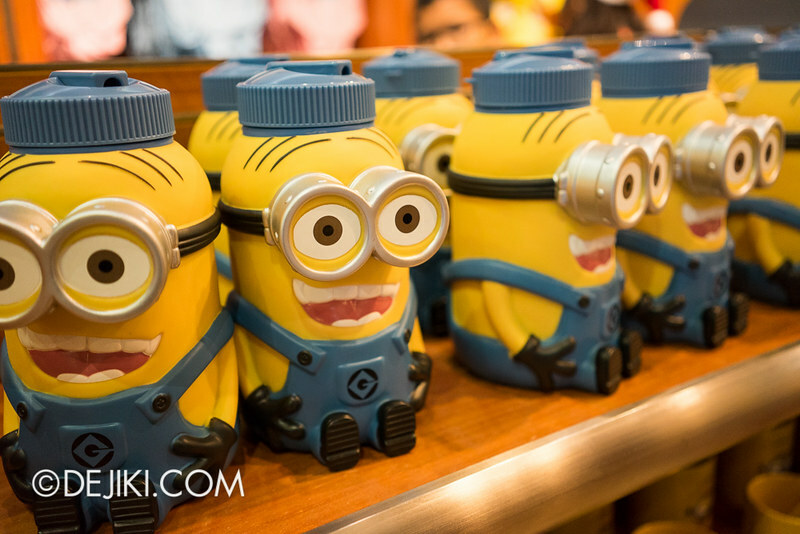 Meet the Minions from DESPICABLE ME! 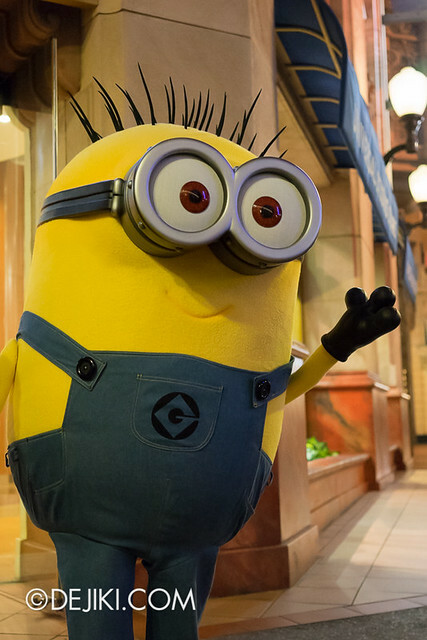 That’s right – everyone’s favourite yellow creatures will be at Universal Studios Singapore for meet-and-greet! Minions will appear in the park from 1st December 2013. 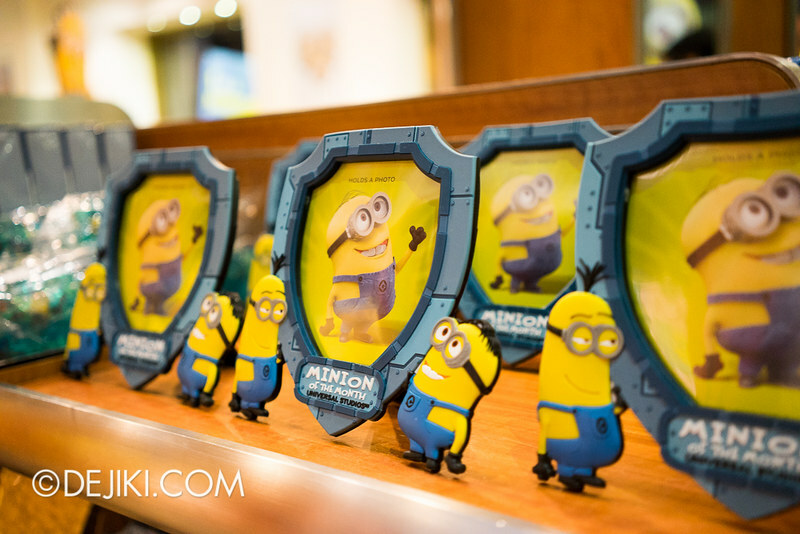 We have attended a preview meet-and-greet session, so have a sneak peek of the minions that will be meeting guests from December 2013! 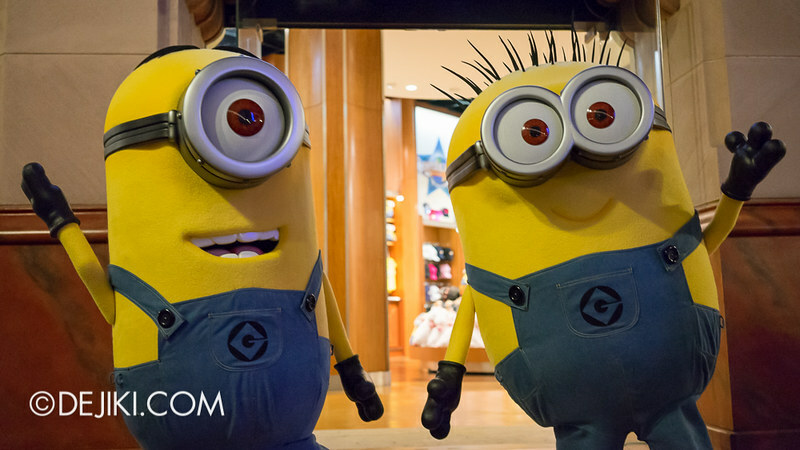 The minions can’t talk or sing (yet), but they can dance and do some silly moves. 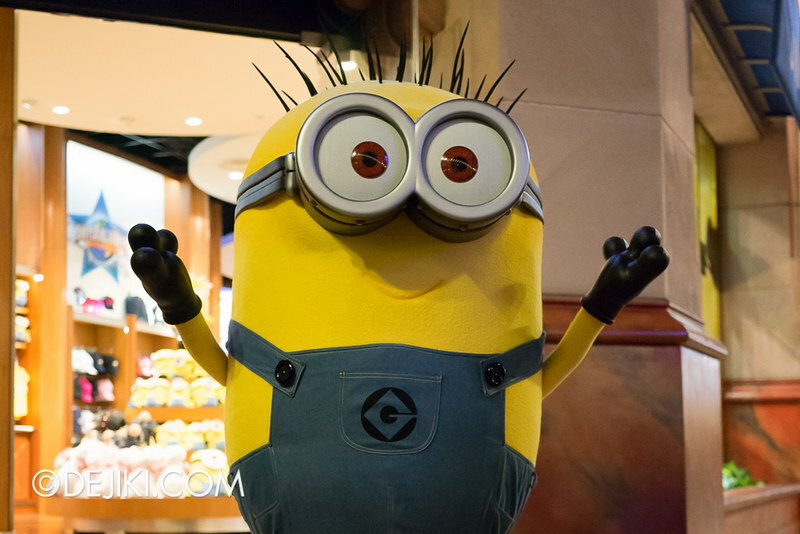 Minions will appear in the Hollywood section of Universal Studios Singapore for meet-and-greet. Check with park crew members for appearance timings on day of visit. 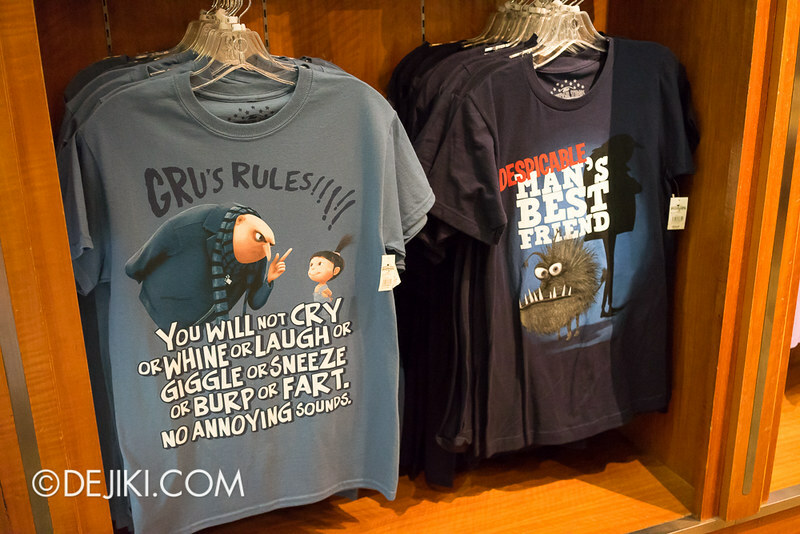 DESPICABLE ME – Park merchandise now available at USS! 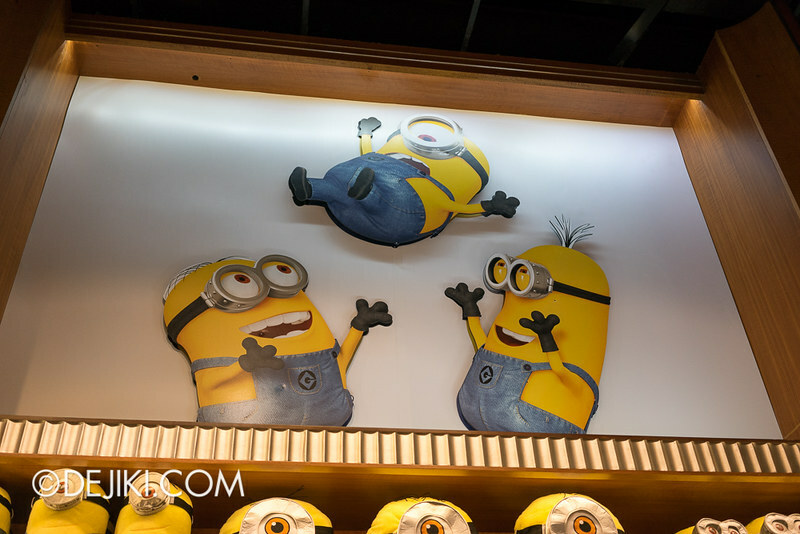 USS has redecorated their Universal Studios Store with a special Despicable Me section! This new section opened on 27th November 2013. 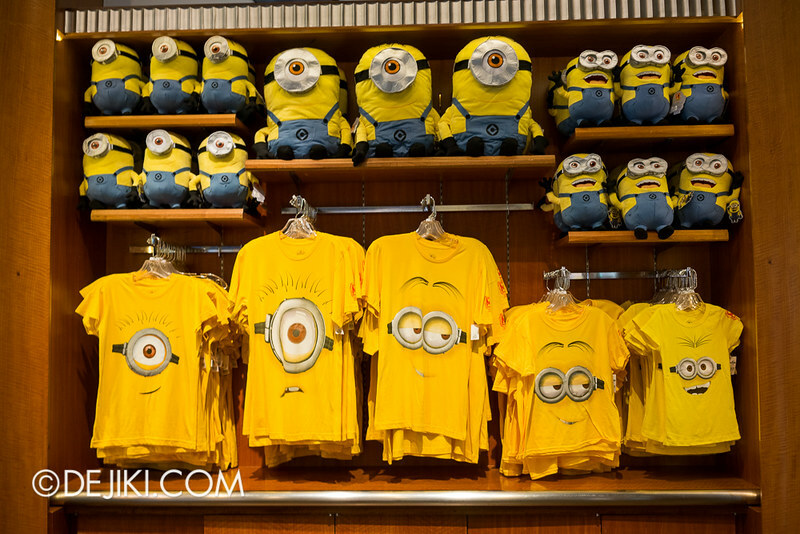 There is A LOT of merchandise, mostly from the already-open Despicable Me ride at Universal Studios Florida. I believe some of these items are exclusive to Universal Studios theme parks. 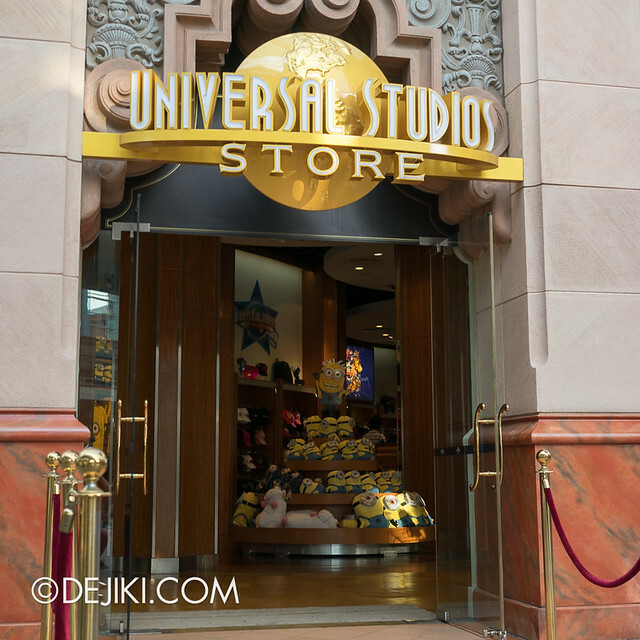 By extension, this means that a lot of stuff here can only be found in USS (for this side of the globe, unless Universal Studios Japan is plotting something) Have a look at what’s available. Prices, if available, are in Singapore Dollars. 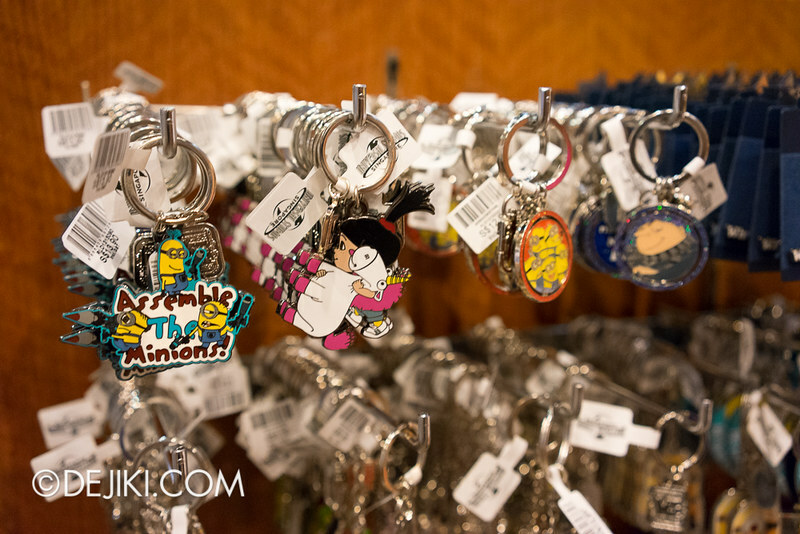 There’s a section filled with the usual theme park souvenirs: Pins, lanyards, keychains, photo frames and more. Who wants to be the Minion of the Month? 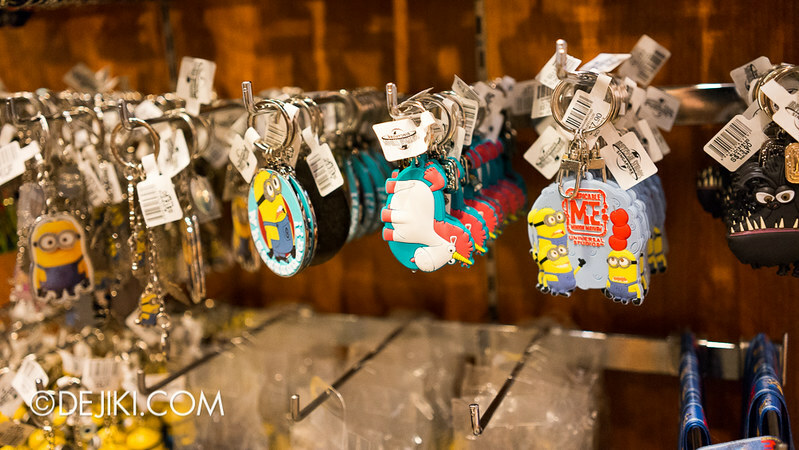 Minion Mayhem keychains (soft plastic). Some of these have LED lights in them! Price for all keychains varies between $7.90 ~ 13.90. There are the metal keychains too. Slightly more expensive than the plastic ones, but not beyond $13.90. That was a lot of magnets. 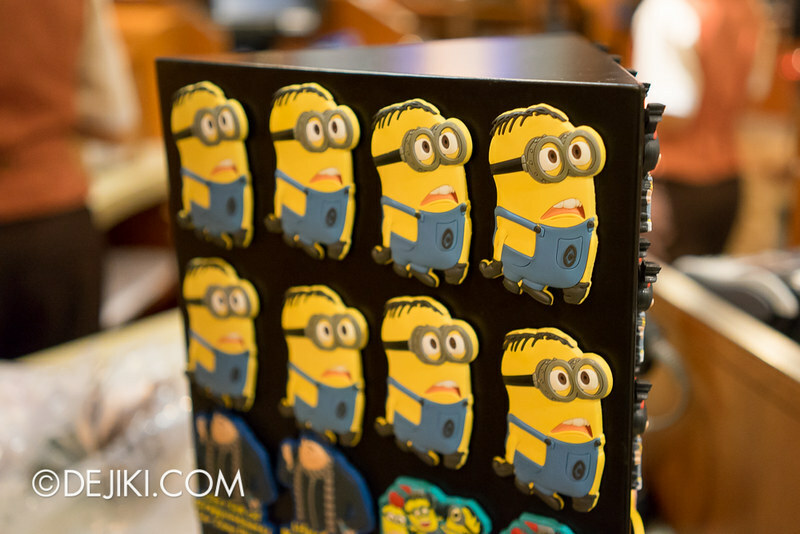 The mini plush Minion (magnetic) is selling for $15.90. There’s a small selection of caps and backpacks. 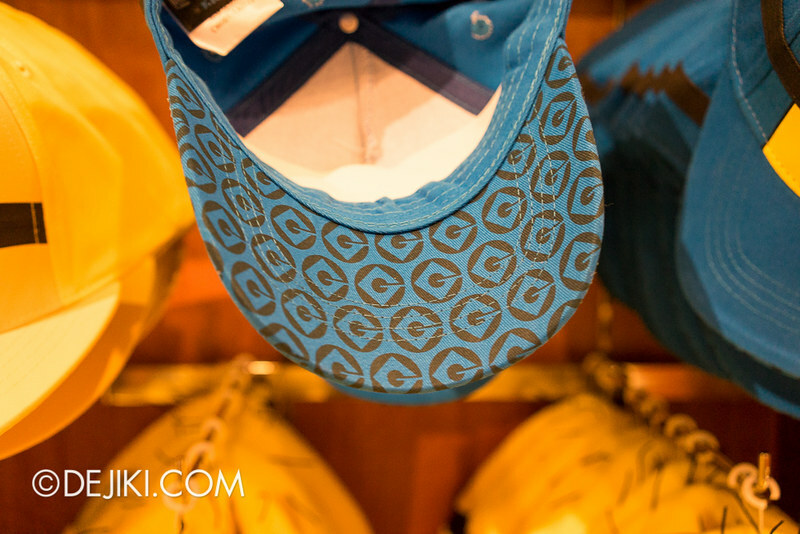 The blue cap has Gru’s logo as pattern on the under-side of the brim. 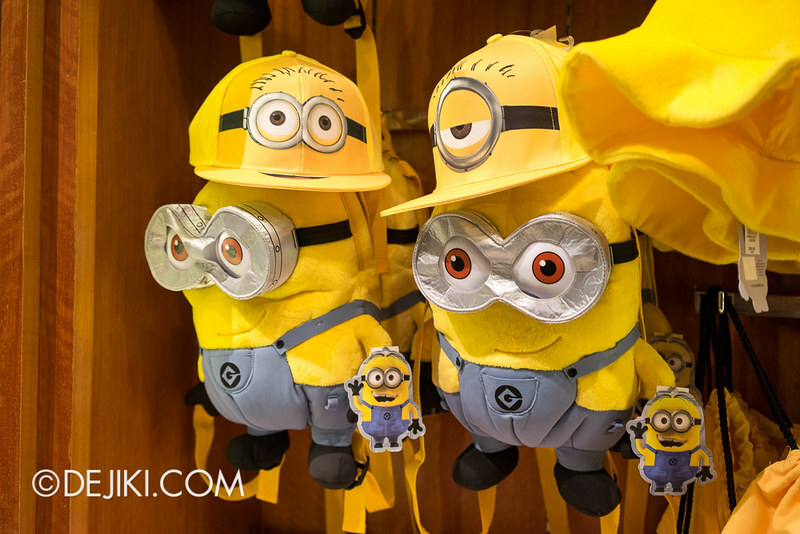 Minion backpacks, $53.90. There’s also Fluffy (Unicorn) backpacks, $49.90. Creds to Jasmine for the info! 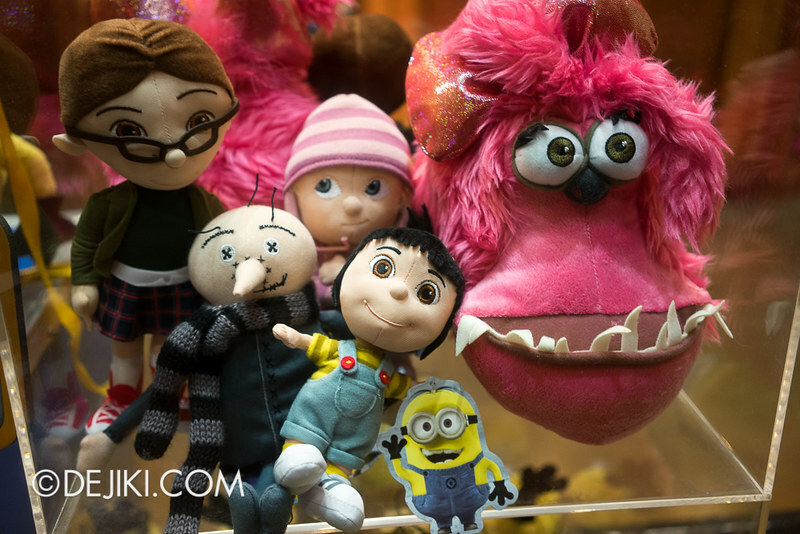 The new wonder of Universal Studios Singapore: A tower of Despicable Me plush toys. I forgot to check the prices of everything here, but the Fluffy (Unicorn) goes for $31.90 $39.90 and smaller Minion is priced at $31.90. Here are some other plush toys (not at the tower stack) that are also available in the store. 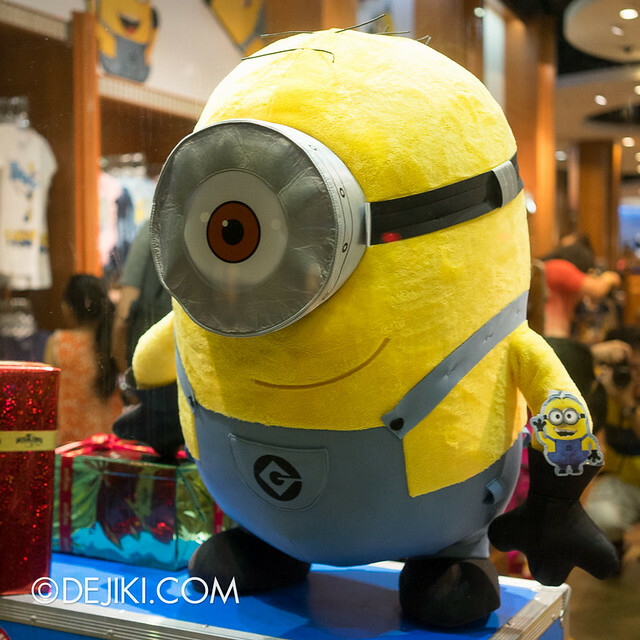 Giant Minion plush! Only one in the store. TOYS. 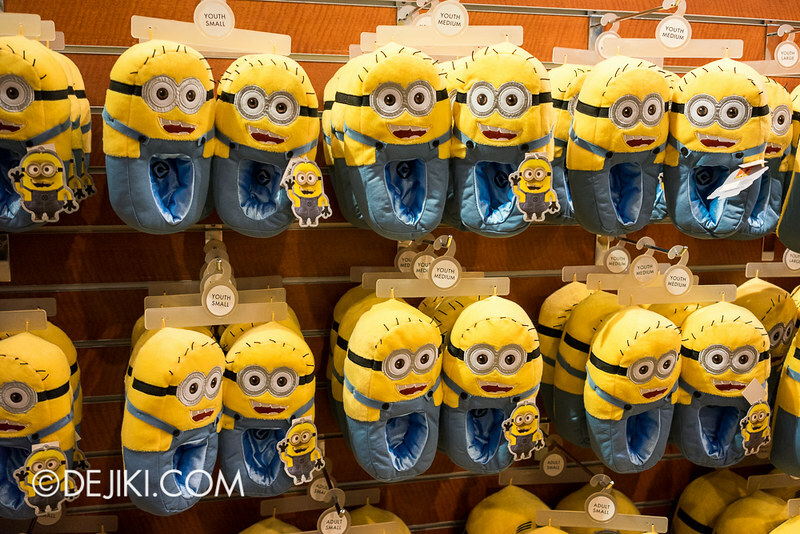 There are even Minion Goggles ($15.90). 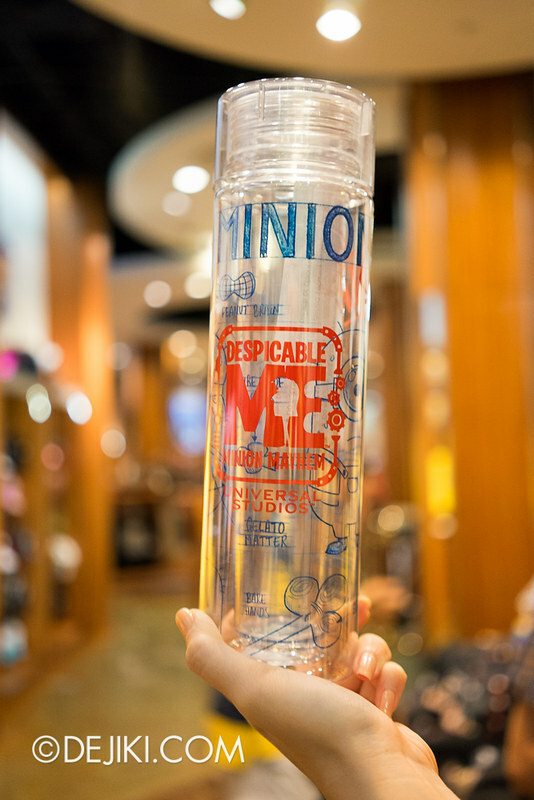 A cool-looking water bottle, describing the “ingredients” and “process” of making a Minion. $16.90. Minion T-shirts in various sizes and designs. This series also has “Universal Studios Singapore” printed. $33.90 for adult size, $23.90 for children. 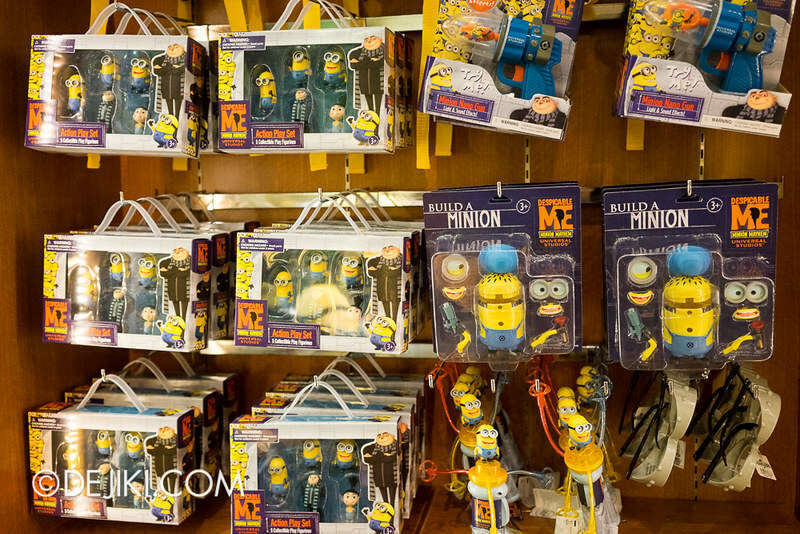 Wow – that’s a lot of cool and cute Despicable Me items! What is everyone looking forward to buy? 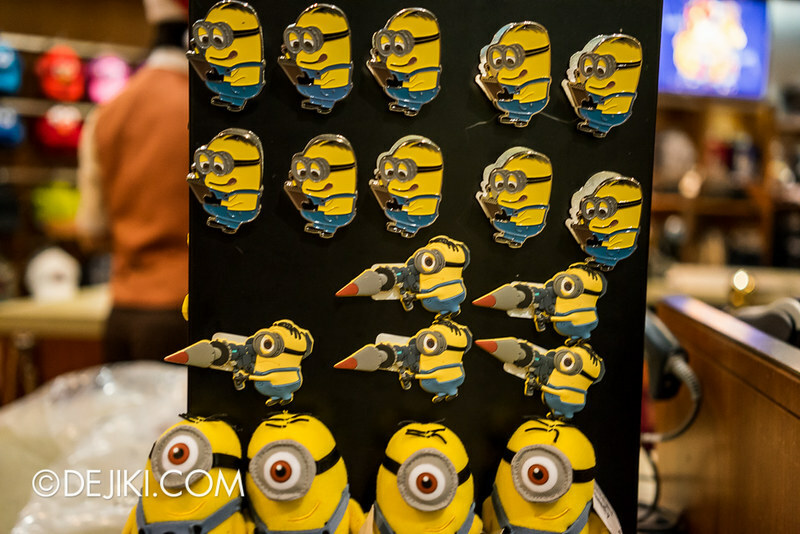 And why is the park selling so many Despicable Me items? Read on! Although the Minion park characters are making their debut during the Christmas programme, they are permanent additions to the park. 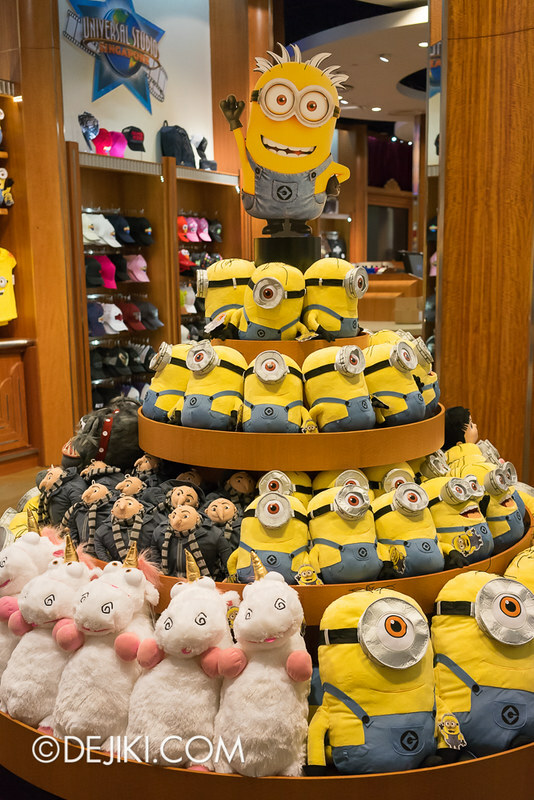 Also, USS intends to expand Minion retail, opening its own store. 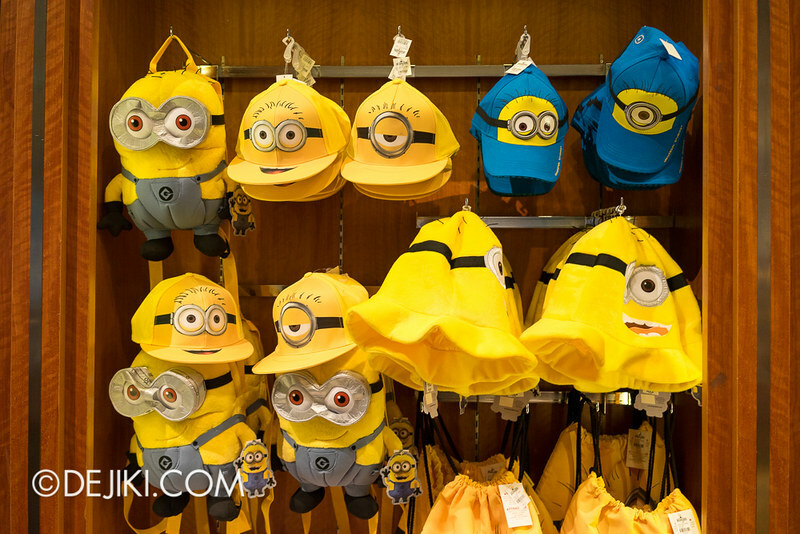 Where else do you think you can find a shop dedicated to Minion and Despicable Me merchandise in the park? 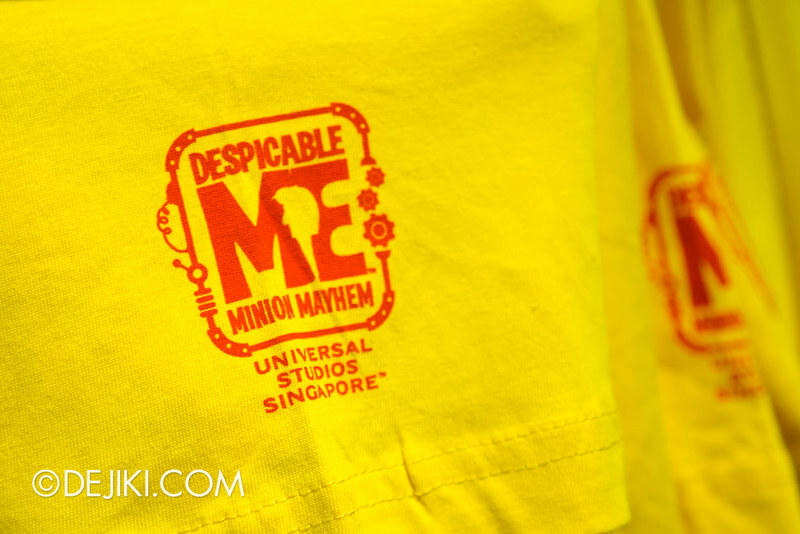 Further more, some merchandise shows the MINION MAYHEM logo with “Universal Studios Singapore” (as opposed to printing just the park name, a simplified “Despicable Me” logo or using the “Universal Studios” generic label). Lastly, I have received word months ago that plans for the Kung Fu Panda attraction have been scrapped. 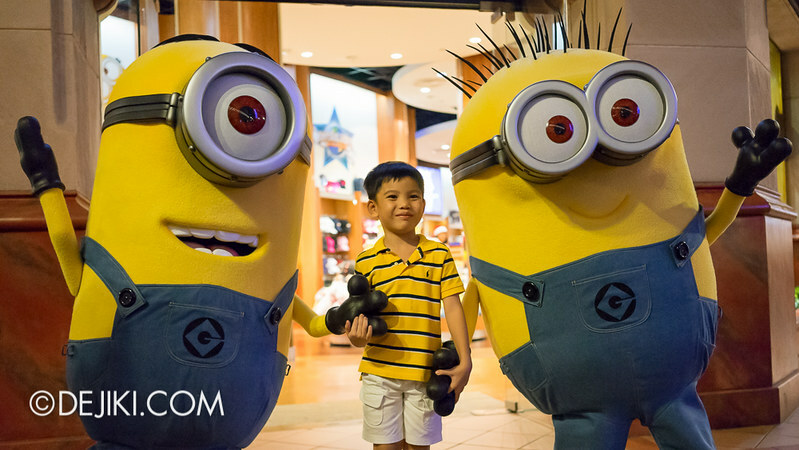 These are some signs that the Despicable Me: Minion Mayhem attraction will be opening in Singapore. Although the park has not made an official announcement, it is very likely that this is the attraction that is slated to open in the Late 2014 or Early 2015 season. This attraction is expected to be built beside Far Far Away, in its own area (which I feel will be a mini area with a street filled with buildings). One year to go. To clarify: Despicable Me Minion Mayhem ride at Universal Studios Singapore is not going to open in December 2013 (unless someone has invented the TARDIS or met the Doctor). 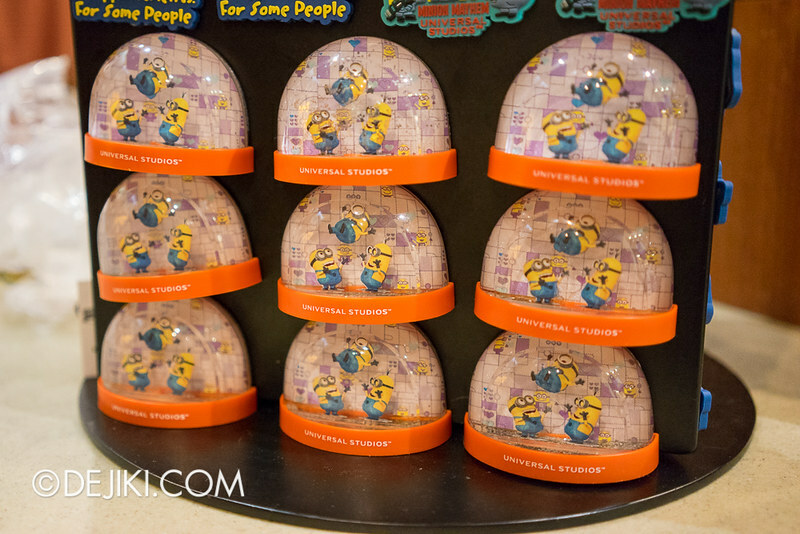 Only a Despicable Me themed area of the Universal Studios Store is ready. 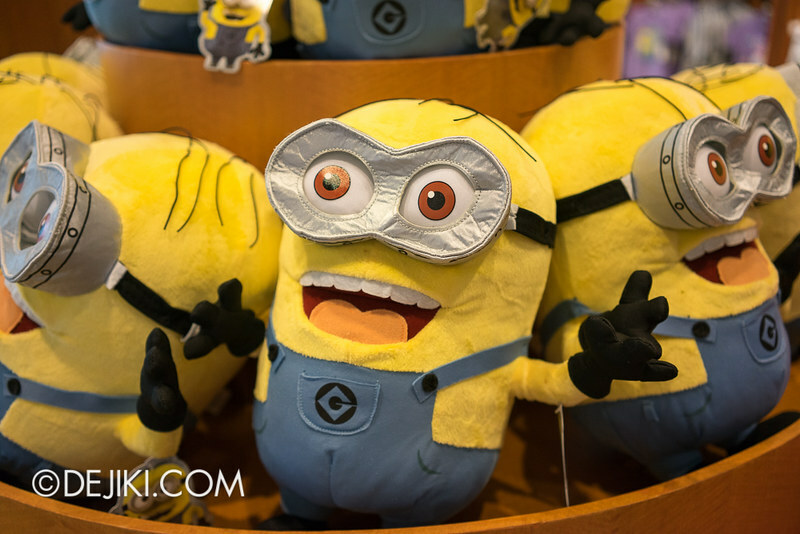 What is Despicable Me: Minion Mayhem? What kind of ride is Minion Mayhem? It’s a 4D simulator ride, but instead of being a theatre with rows of seats, the ride will share a single large screen but guests will be split into ride vehicles (8 guests per vehicle). 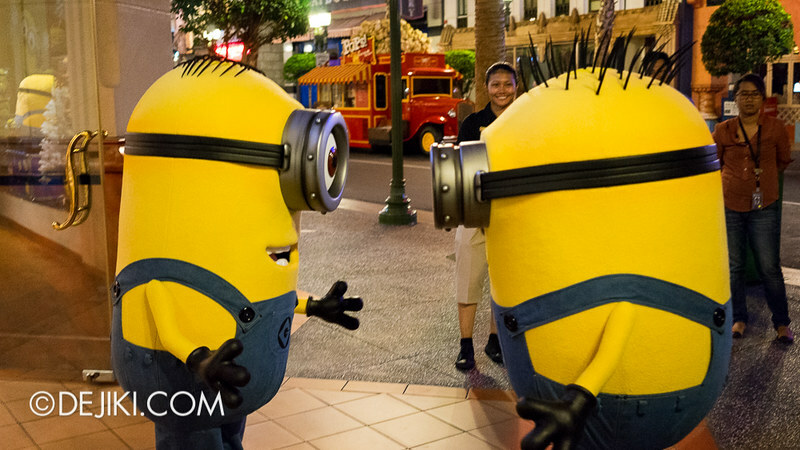 Guests will be “transformed” into minions and go through minion training. 3D glasses are to be worn during the ride for special effects. 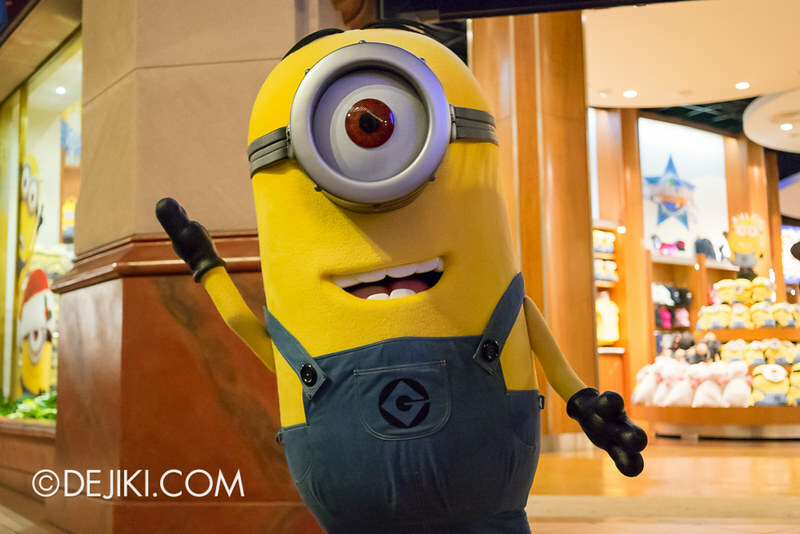 What do you think about Minions invading Universal Studios Singapore? Love it? Hate it? Wished something else came instead? Wizarding World of Harry Potter? Hello Kitty world? Kung Fu Panda land? Far Far Away expansion? 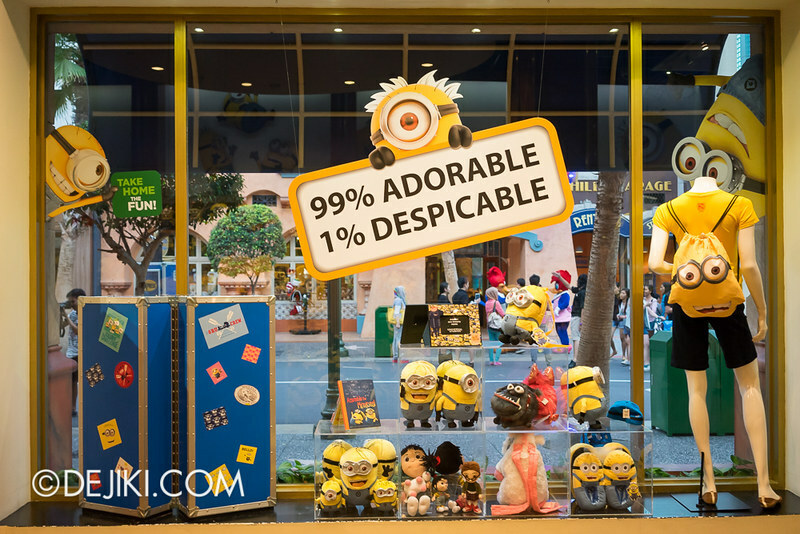 I personally feel that the Despicable Me, while has cute characters and a heartwarming story, isn’t the most phenomenal franchise (apart from causing crazy queues for McDonald’s toys in Singapore). However, its charming characters are very adorable and easily likable. 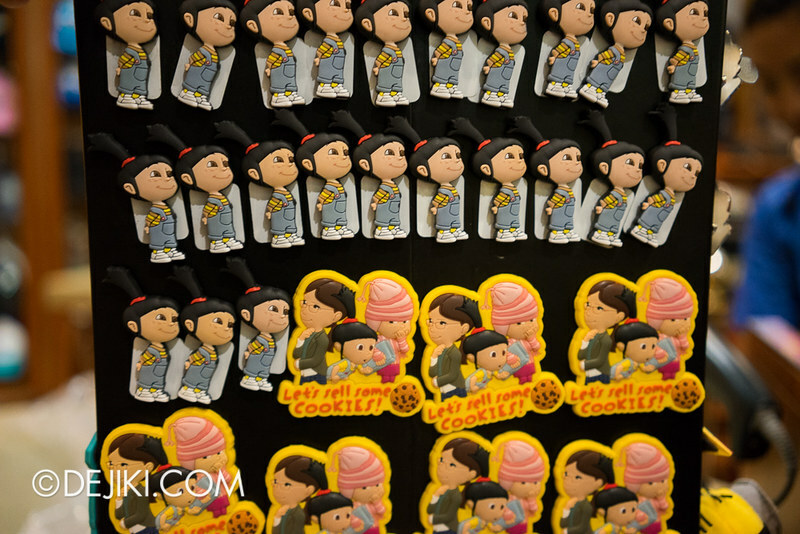 Anyway, at least to me, the merchandise available in Singapore are much more appealing than most items from the Far Far Away / Shrek. Despicable Me: Minion Mayhem is probably the best thing that the park can build and invest on right now. 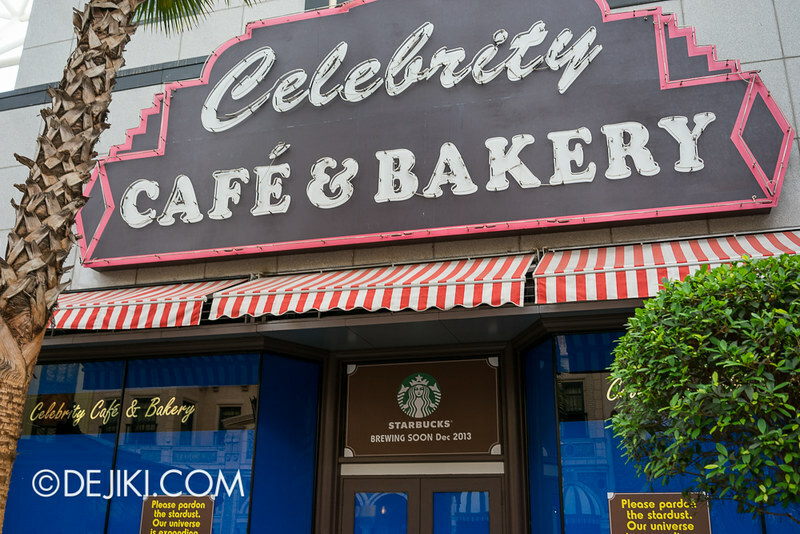 Celebrity Café & Bakery is closed for renovation since a few weeks ago. It will reopen as a Starbucks Café. 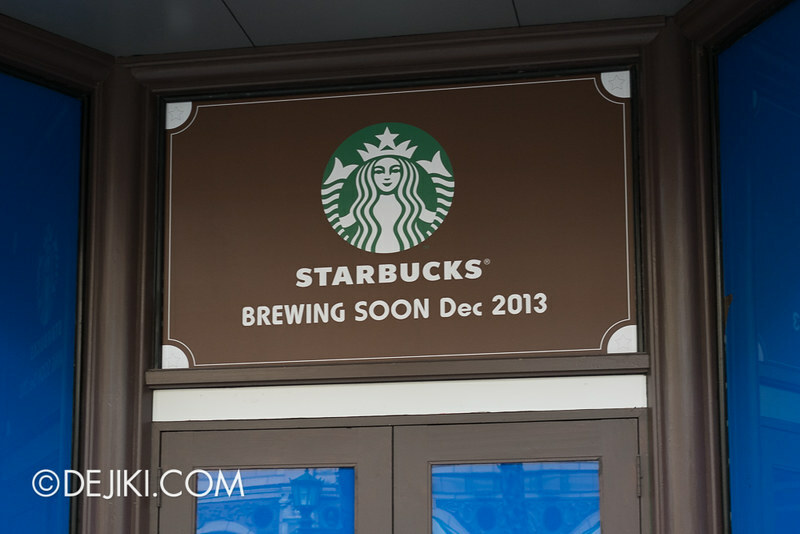 It appears that the cafe will keep its old name but serve Starbucks beverages and snacks. 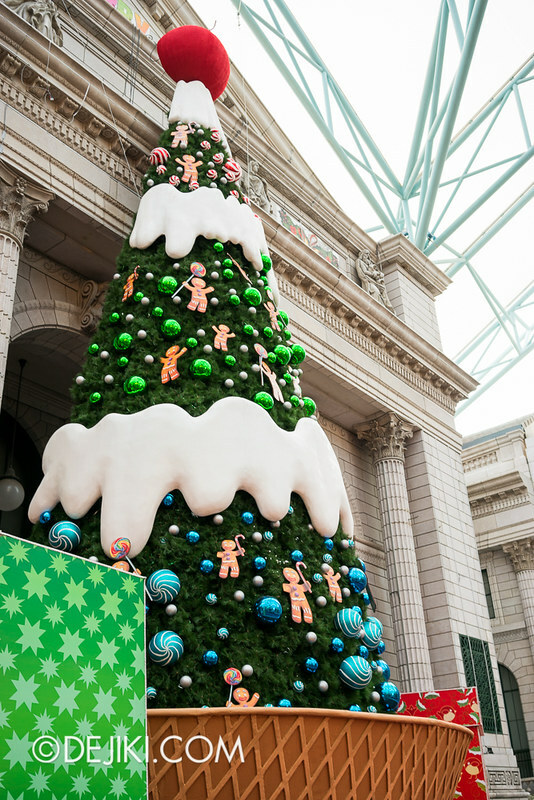 USS will have a special Christmas programme this year, starting with extended hours and evening admission. There will also be the usual festive overlay at New York and Hollywood. From 19 December till 30 December, the park will be open from 10:00AM till 10:00PM daily. There will be a Christmas Light show at New York Public Library, along with a special Christmas-themed 16-minute Sesame Street show. The same snowfall at New York will return. During the Christmas event period (19/12/2013 ~ 30/12/2013), the park will be offering evening admission for $40. Admission includes a $5 dining voucher. With these passes, guests can enter the park from 6:00PM and stay until the park closes at 10:00PM. Guests with day passes and Annual Passholders can stay on till the park closes. Officially known as New Year’s Eve at Universal Studios Singapore, this year’s countdown event is billed as Singapore’s only family countdown event. S$68 per guest, includes a party pack. Guests visiting the park with day passes and Annual Passholders can stay on for the countdown event. However they will not receive the party pack. Most rides and shows will stay open till 1AM. Certain outdoor attractions will be closed earlier in preparation for fireworks right after the countdown. Once again, there will be tribute performances of pop stars such as Kylie Minogue and Britney Spears, along with band performances by The Rocketeers and DJ Edward. Buskers, street performers, balloon sculpters and face-painters will also be found along the streets of the park. This year’s tree looks very different. So does the new stage. Yes, no need to ask. Battlestar Galactica is still closed and I’m still getting conflicting news about the fate of the world’s unique pair of roller coasters. I am hoping that the park is able to fix the technical flaws of the trains and get the ride back up and running. 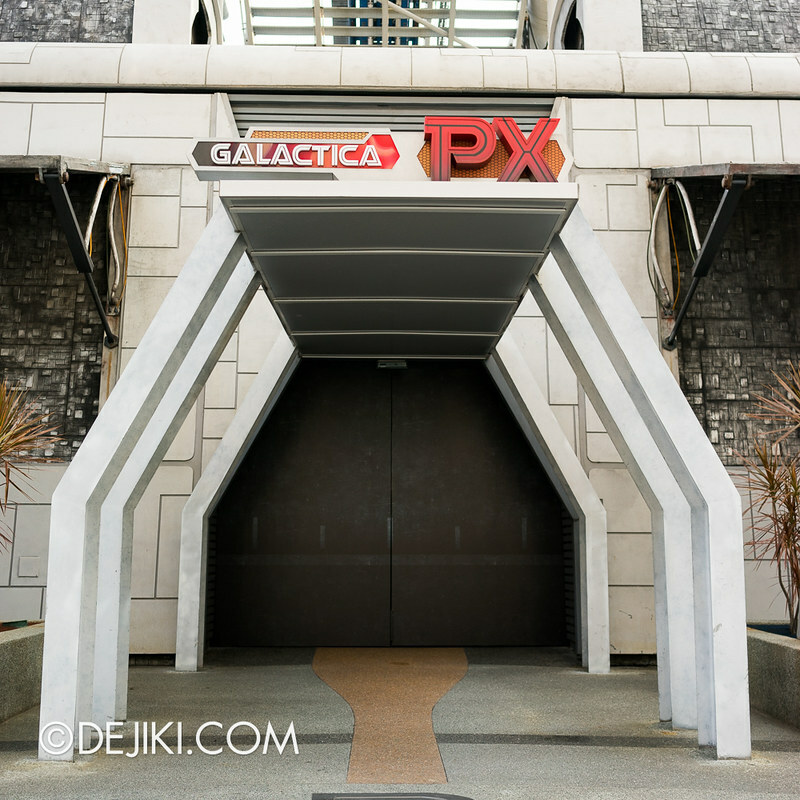 Galactica-PX, the ride-exit shop for the Battlestar Galactica roller coaster has also closed. 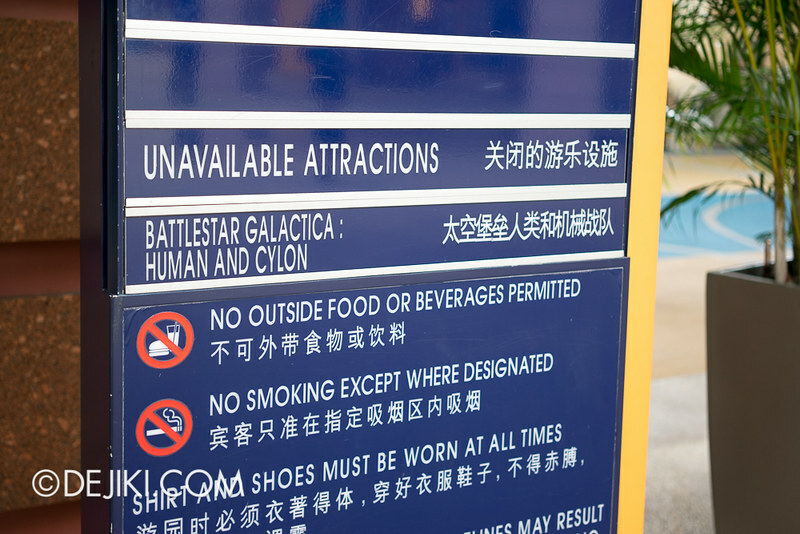 However, Battlestar Galactica merchandise can still be found at the nearby Caprica Market stall. A new tree at New York Public Library, which is supposed to look like dessert – I assume. Stay tuned for a Christmas Park Update next month! 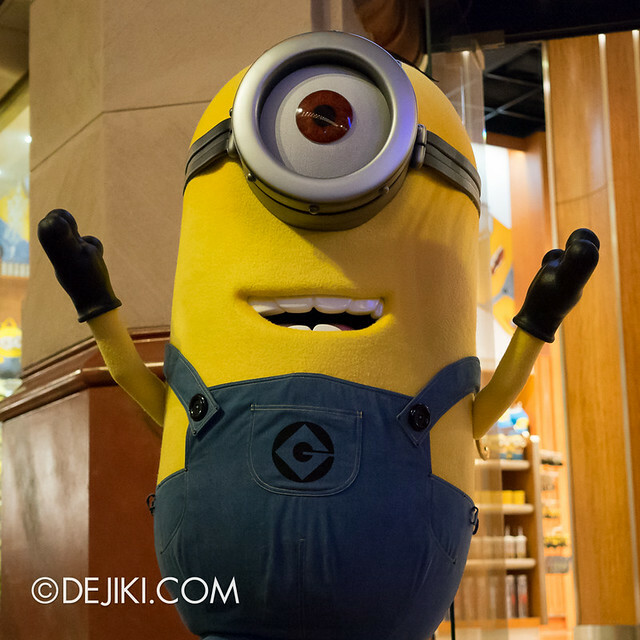 Special Thanks to RWS for inviting Dejiki.com to the after-hours Despicable Me Minions Preview. 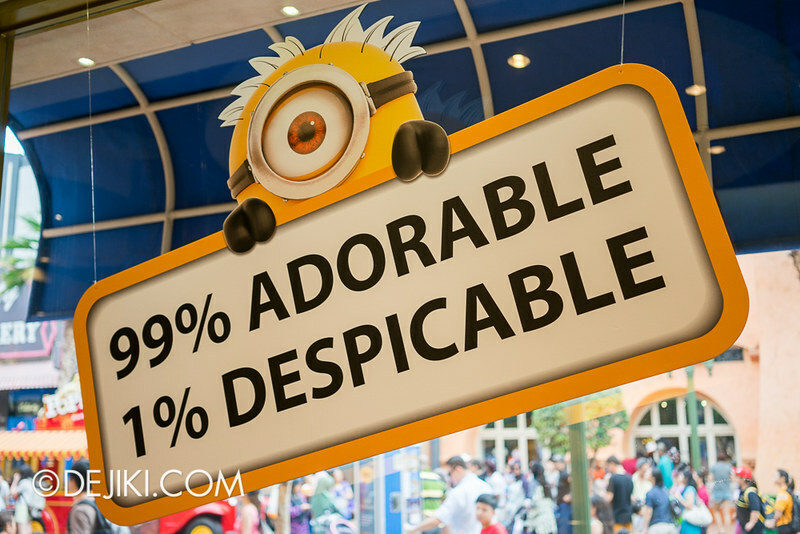 I’d love to see the Despicable Me attraction here! I didn’t have the chance to try it out at Orlando because of the 100 minute wait. I’m actually really disappointed with this idea. They should make something better. This is just another desperate move of bringing one-eyed yellow obsessed freaks to the park. USS just got from bad to worse. Closing BSG, JP ride never maintained well, transformers the ride non-HD screens, horrible madagascar ride(most children barely enjoy it). I bet this is just their desperate move to bring more visitors because most of their “great rides” failed to function properly. Go ahead RWS, enjoy destroying the park. Hi, nice to know you! We’re going to Singapore this Christmas, and very interested with after 6pm ticket. Do most rides & show still open from 6 pm until 10 pm for Christmas event in Universal Studio 19-30 December? My family and I will be visiting Singapore in Feb ’14 (Sunday 23rd- Wednesday 26th) and we’ll definitely stop by USS. Which day of the week do you suggest we go to avoid the crowd? It’s not peak season is it? 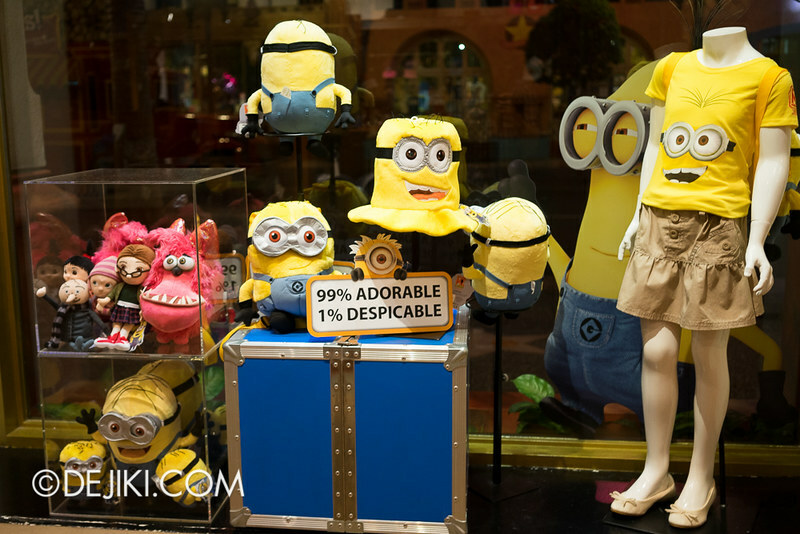 Is there online store of Singapore universal studios selling minion merchandise?